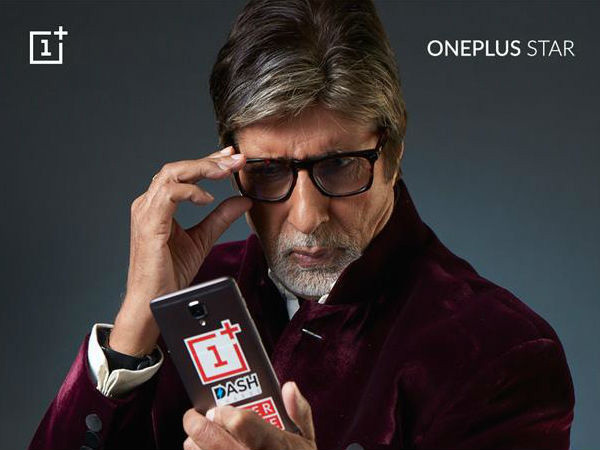 To make its presence felt in the Indian market, Chinese smartphone maker onePlus has roped in Amitabh Bachchan as the brand representative in India. "Association with the living legend reiterates the brand philosophy of 'Never Settle' and the company's pursuit of perfection. OnePlus has always strived to deliver nothing but the best to its community and the association with Mr. Bachchan is the natural extension of the brand's promise," company said in a statement. Pete Lau, CEO and Founder of OnePlus, said, "We are delighted to welcome Amitabh Bachchan as our brand representative in India. As the brand grows to the next level, we aim to continue to bond with our community in a more meaningful and engaging way. Our association with Mr. Bachchan will further strengthen this bond, give our users a greater sense of purpose and help the brand scale to new heights." The actor has been previously associated with LG's flagship smartphone series. Sharing his thoughts about the association, Amitabh Bachchan said, "It gives me immense pleasure to be working with the most exciting technology brand in India, OnePlus, a truly disruptive technology company known for its premium quality and craftsmanship. Being a OnePlus user myself, I am thrilled to represent the brand in India and become a part of the passionate community of OnePlus fans to take the brand legacy ahead," he said. The company has recently opened its first 'Experience Store' in Bengaluru- a one-stop destination to experience the complete range of OnePlus products.